During Hearthstone‘s recent Champion Tour event in Shanghai, Blizzard announced that Knights of the Frozen Throne will be the next expansion set for its genre-defining digital card game. As the name suggests, the upcoming set of 135 new cards for the game will return to one of the most popular settings in Warcraft history: Northrend and the Frozen Throne (introduced in the eponymous expansion for Warcraft III). The Frozen Throne was once the icy prison of the shaman Ner’zhul, whose soul merged with prince Arthas of Lordaeron during the events of Warcraft III to form the Lich King, master of the undead Scourge and one of the most iconic villains in the Warcraft universe. He reared his head again in the Wrath of the Lich King expansion for World of Warcraft, which introduced the Death Knight class. According to lead designer Ben Brode in the announcement video (spoken, not rapped), this will work sort of similarly to crafting custom spells with Kazakus. Using the hero power will present the player with three random beasts, then another three, fusing the stats, abilities, and costs of the chosen two into a single new minion that goes into the player’s hands. For instance combining a Rat Pack with a Bloodfen Raptor would create a 5-cost 5/4 minion that floods the board with five 1/1 rats on death. “You can do some really disgusting things when you jam two of these beasts together,” according to Brode. The heavy theme of the undead also means that the Deathrattle mechanic will feature prominently in cards from the set. 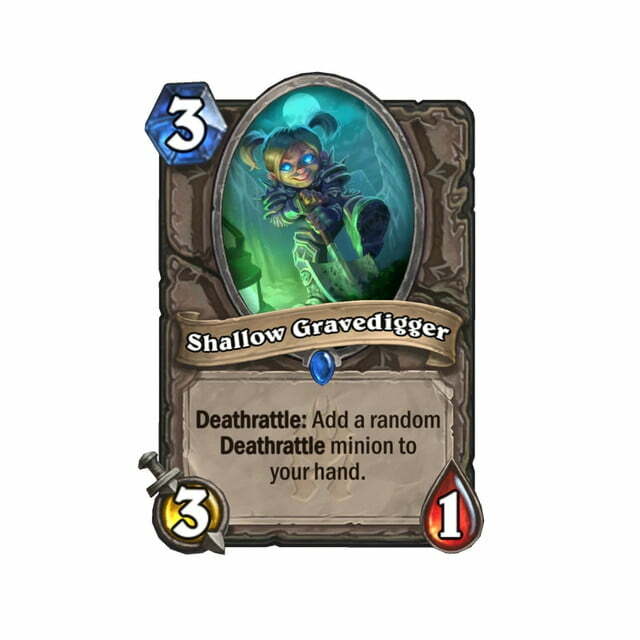 First revealed within this is the Shallow Gravedigger, a 3-cost, 3/1 neutral minion with the Deathrattle: “Add a random Deathrattle minion to your hand.” This isn’t a terribly powerful effect or stat-line in a vacuum, but assuming that there are other Deathrattle synergies to be found in the set, it will likely be more effective in context. One deck into which the Shallow Gravedigger probably immediately slots is one with the priest quest from Journey to Un’Goro, Awaken the Makers, which rewards you with a powerful minion after summoning seven Deathrattle cards. As a Deathrattle that then gives you another one, it serves a similar function to the Stonehill Defender in the warrior quest, or more closely Webspinner in beast synergy decks. Lastly the set will also codify another keyword ability that, like Poisonous in the previous set, already exists without a name in the card pool. Lifesteal cards will restore any damage dealt to the attacking player’s health. This effect was already active and written out on cards like Wickerflame Burnbristle and Mistress of Pain, but now it can be more succinctly applied to other cards. 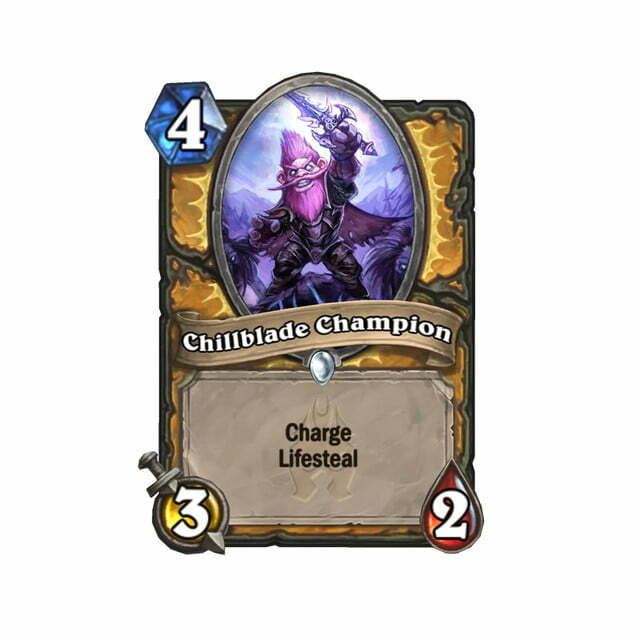 Two examples offered so far are Chillblade Champion, a 4-cost 3/2 Charge/Lifesteal minion for paladin, or Spirit Lash, a 2-cost Lifesteal spell that deals 1 damage to all minions. 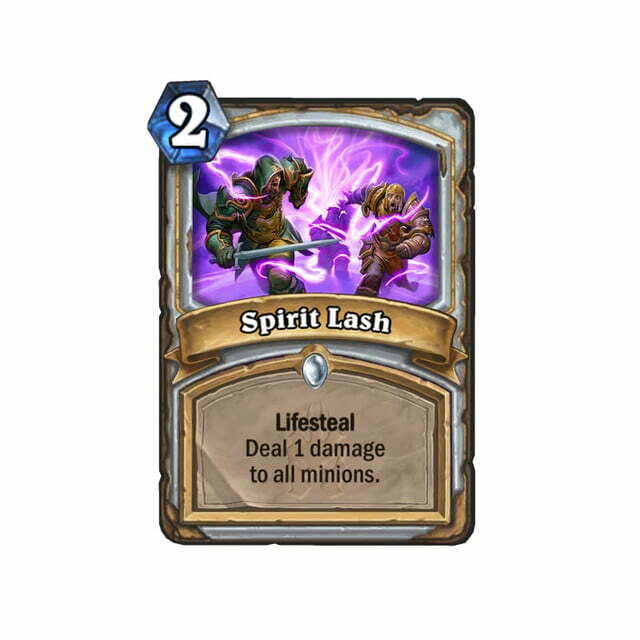 Lifesteal as a keyword for spells is particularly interesting, since it would presumably allow players to take advantage of spell damage increases for greater healing, like how Shamans currently can with Hallazeal the Ascended. 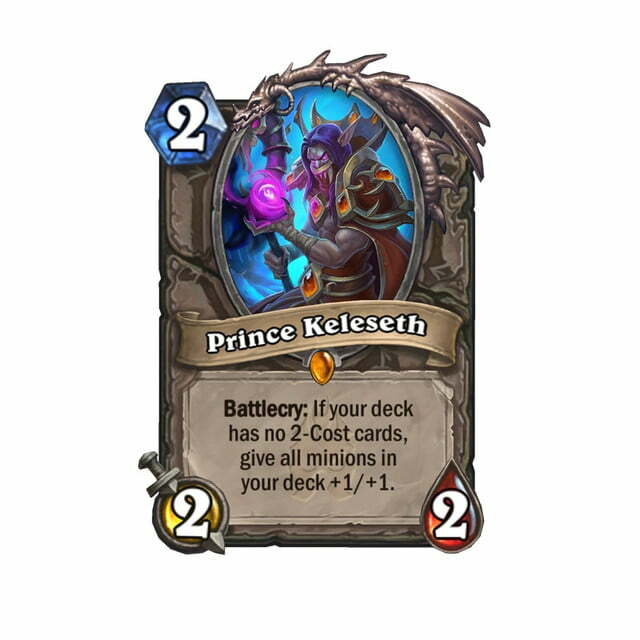 In addition to 135 cards, Knights of the Frozen Throne will also include single-player content along the lines of previous Adventure expansions, which have been discontinued by Blizzard in lieu of more frequent full expansions. There will be two wings with three boss fights each, as well as a prologue and final boss. 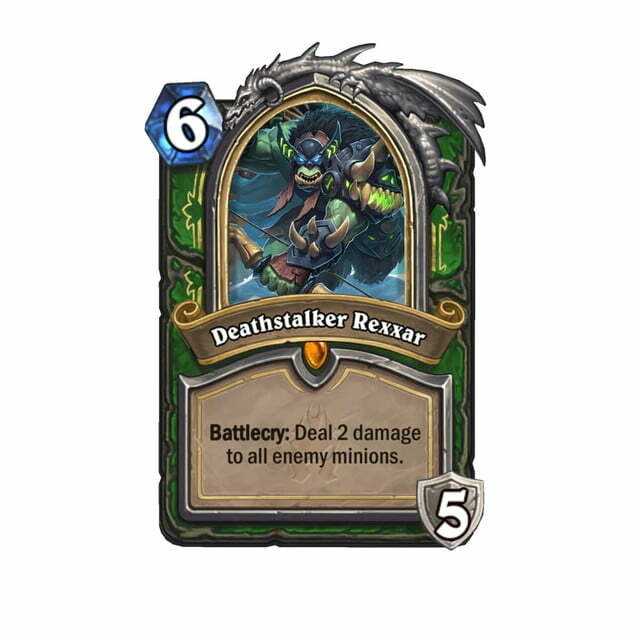 Beating each of the wings will earn a pack of cards from the set, and tackling the prologue will grant a random free new hero card, such as the Deathstalker Rexxar described above. Where many players complained about receiving duplicate legendaries while opening packs from the previous expansion, Blizzard’s recent policy change on pack opening will remove that possibility, ensuring no duplicates as well as a guaranteed legendary card in the first ten packs opened from a new set. Hearthstone: Knights of the Frozen Throne will launch in August, with more card reveals between now and then. Players can take advantage of the now-standard pre-order offer of $50 for 50 packs and a custom card back.